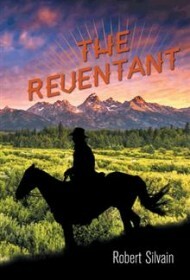 The Reventant is a tale of revenge exacted by protagonist J.W., a “tall dark handsome stranger wearing a black hat and black vest” who is a self-appointed and spiteful vigilante. In Robert Silvain’s novel, J.W. is in armed pursuit of a man named Jethro and his gang. The men have robbed and set fire (perhaps accidentally) to a circus J.W. was traveling with and badly burned his friends: Rose, a fortune teller, and Peter, a skilled six shooter. Having lost his kin in the Civil War, J.W. had taken the circus as family. With this adopted family gone, too, J.W. has one thing on his mind: “He would seek out those who ended their [Rose and Pete’s] lives and make them pay!” Having learned how to shoot from Peter, J.W. just needs to find his prey. The concept of this novel is promising, but the narrative, unfortunately, suffers several flaws. The plot is rambling, sometimes difficult to follow and wholly black-and-white and void of complexities of or exploration into the human condition. Similarly, the story and characters are not developed but, rather, seem dropped as from the sky to the page, with no background or depth. Additionally, the flow of writing is awkward in that Silvain uses the past perfect tense for no apparent reason; word choices and metaphors tend to be worn and banal; spelling errors and typos abound throughout, and of paramount confusion is the title, The Reventant, which might be possibly a misspelling of “revenant” or “repentant” — or not. Although it seems Silvain has taken great pleasure in writing this novel, in its present form it’s an unpolished, one-dimensional story of shoot-‘em-up bloodletting in the Old West. Should he decide to revise, Silvain would do well to read widely from such authors of the American West as Larry McMurtry, Cormac McCarthy, Elmer Kelton, Owen Wister, Robert Flynn, A. B. Guthrie, Jr., and Frank Norris, to name a few.